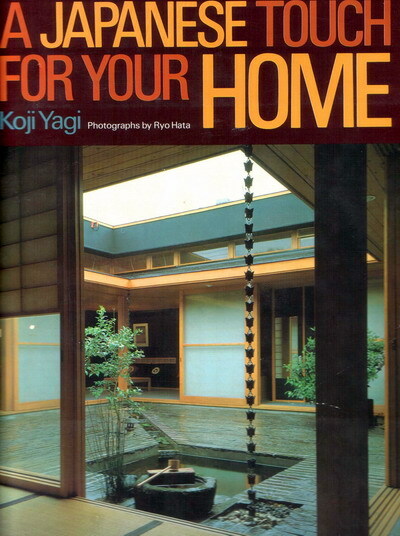 Filled with elegant designs and clever tips, A Japanese Touch for Your Home offers bold and exciting ideas for remodeling your home or redecorating your apartment. The author, architect Koji Yagi, explains the basic elements of Japanese interior design and shows you how to use them. Install tatami mats and shoji doors – cardinal elements of Japanese interior design – and see how beautifully they respond to the Western home. Change the size and shape of a room easily and tastefully with bamboo screens and movable partitions. Build a simple Japanese-style alcove, decorate it with something special, and then flaunt it. Try some Japanese lighting techniques – low, soft, and beautiful. Change the mood of a room, and change your way of looking at things. A Japanese Touch for Your Home includes much more. Practical, approachable, and authentic, it is written by a prominent Japanese architect concerned about the demands of contemporary lifestyles, and the answers that traditional Japanese design has to offer. Over 120 color plates taken by a leading Japanese photographer accompany the informed text. In addition, over 200 black and white sketches, floor plans, and a section on do-it-yourself projects make this a book that will pique your desire to be creative and then show you how to fulfill it. A practical guide for homeowners, interior designers, and people who like to work with their heads and their hands, this book will introduce you to a new way of living.